Fatty deposits and plaques cause atheroma that builds up in coronary arteries and reduces the lumen of the artery, meaning that blood flows slower through the vessel. This can cause angina, which is when the heart muscle ‘complains’ that it is struggling to get enough blood supply because the arteries are so narrow. Taking GTN during an angina attack can dilate the coronary arteries and restore the blood supply to the heart. 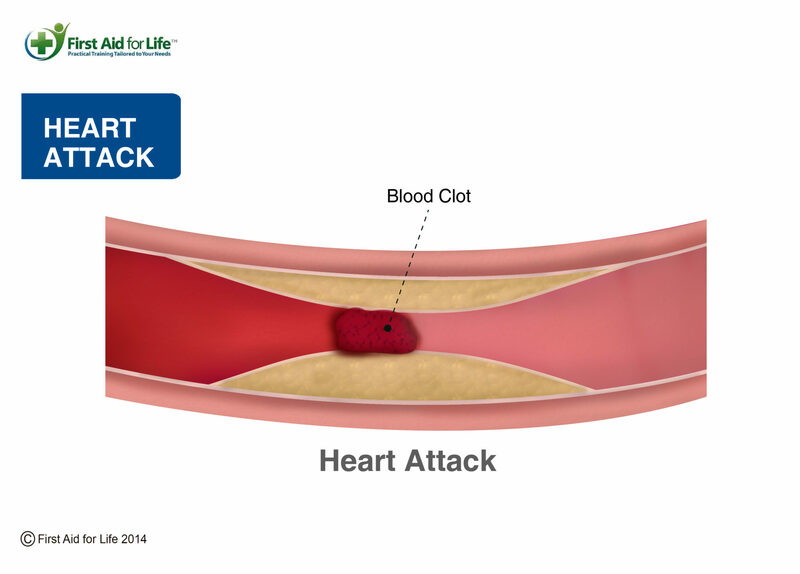 A heart attack is often caused by a clot forming in slow-moving blood, due to the narrowed arteries. This clot can then break off and block the coronary artery completely, depriving the heart muscle of oxygen and causing that part of the heart to die. 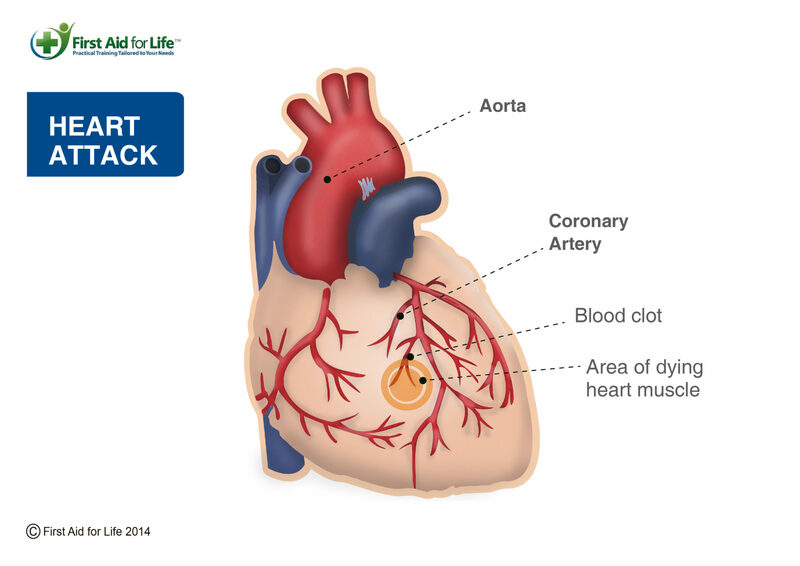 The severity of the heart attack and symptoms experienced depends on how large an artery is affected, where in the heart the blockage has occurred and how much of the heart muscle is affected. 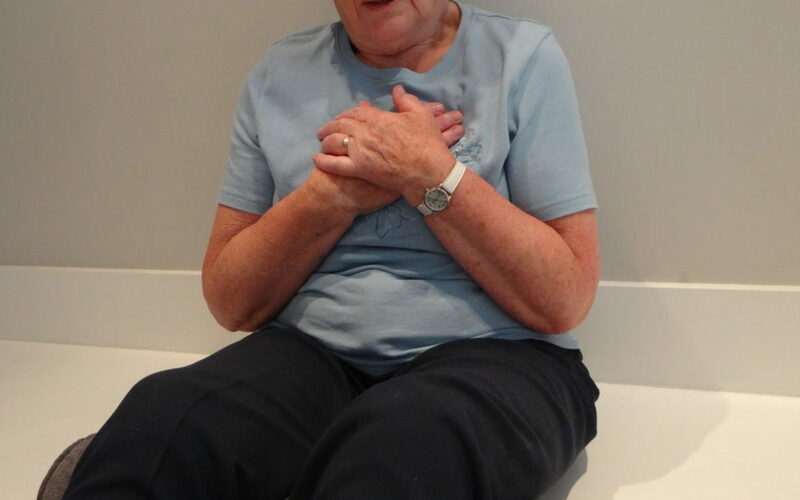 If the signs of a heart attack are recognised quickly enough and the casualty is transferred to a specialist Cardiac Unit immediately, they can undergo immediate angioplasty (surgically and mechanically unblocking the blocked artery). This can save the damaged heart muscle by restoring the blood supply. The casualty may or may not experience chest pain. If they are diabetic, older, or a post-menopausal lady, then it is highly likely they won’t experience any accompanying pain at all. This can mean heart attacks are harder to diagnose without an ECG. An ECG is an Electrocardiograph that reads the electrical activity that occurs when your heart is beating and can help the paramedics or doctors establish what might be happening with someone’s heart, how sever the damage might be and which part of the heart is affected. 1. 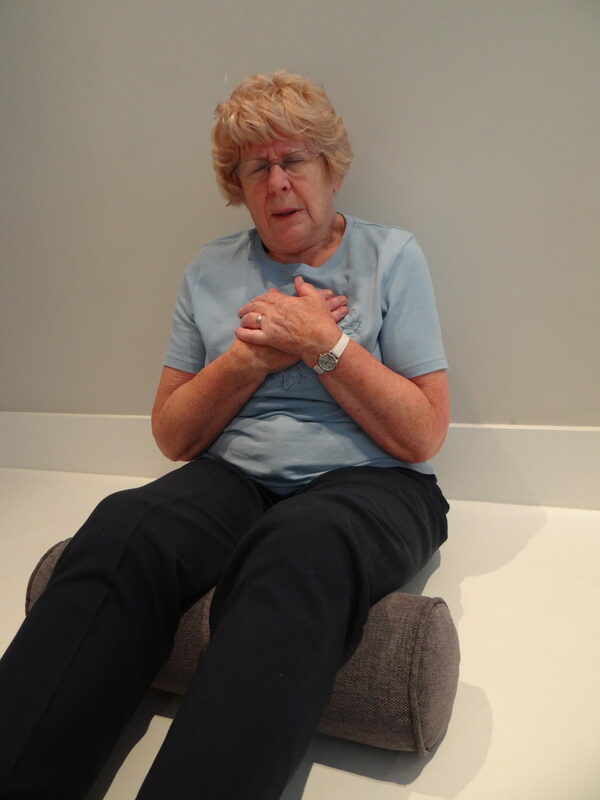 Sit the casualty on the ground in the lazy-W position; sitting down with their knees raised, leaning back on something, preferably with a pillow or similar under their knees. This helps them to sit upright which will help their breathing. If this is too difficult for them, just help them to sit down. 2. Call the emergency services. 3. 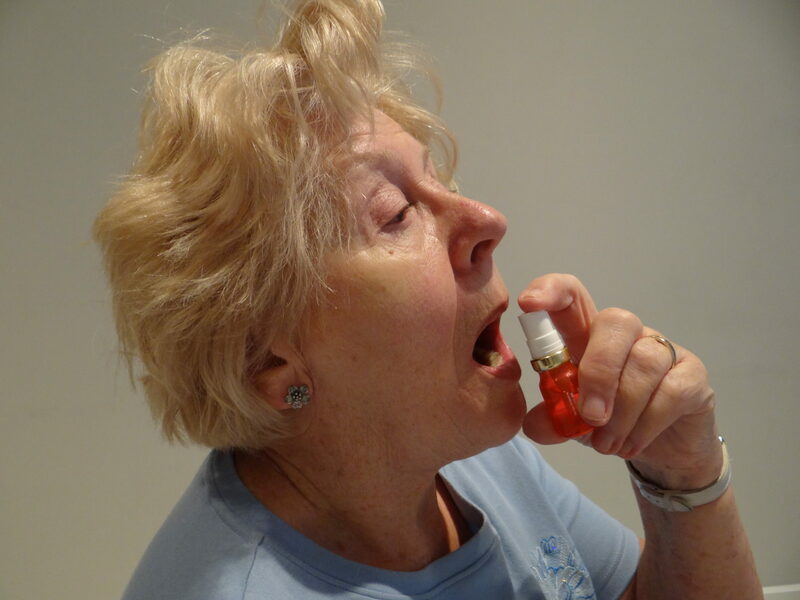 If they have cardiac medication, such as a GTN spray, help them to use it. 4. If this does not work and they have been prescribed a 300mg aspirin, advise them to chew it as it will get into their blood stream more quickly this way. 5. If they collapse and are unconscious and not breathing, start CPR immediately. 6. If you have a defibrillator available, open it up and it will start giving you instructions. Dry the casualty’s chest and place the pads onto it. Follow the diagrams on the pads to know where to put them. 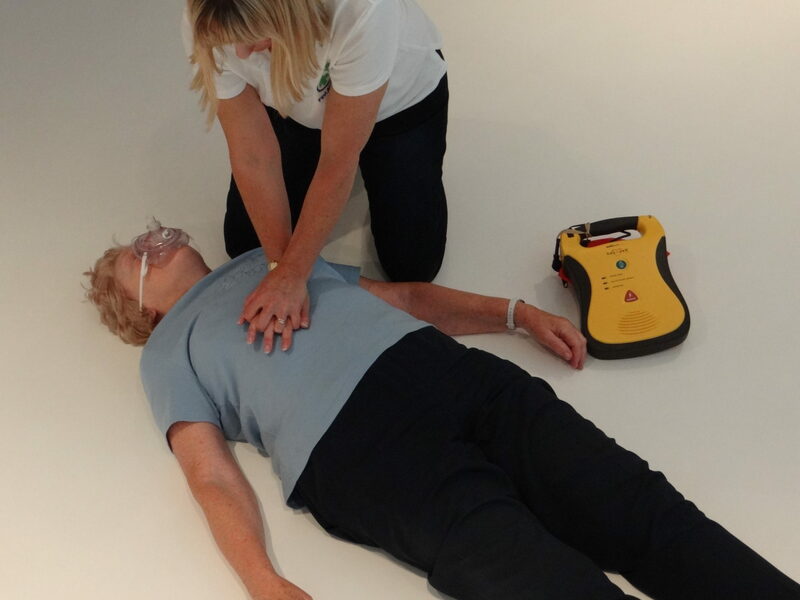 Ideally one person should be doing CPR while someone else puts the pads on the casualty’s chest and concentrates on using the defibrillator. Do not stop doing CPR until a paramedic arrives and can take over, or the casualty begins to regain consciousness. It is strongly advised that you attend a fully regulated Practical or Online First Aid course to understand what to do in a medical emergency. Please visit https://firstaidforlife.org.uk or call 0208 675 4036 for more information about our courses. First Aid for Life is a multi-award-winning, fully regulated first aid training provider. Our trainers are highly experienced medical, health and emergency services professionals who will tailor the training to your needs. Courses for groups or individuals at our venue or yours. First Aid for life provides this information for guidance and it is not in any way a substitute for medical advice. First Aid for Life is not responsible or liable for any diagnosis made, or actions taken based on this information. When the BBC came to film at First Aid for Life.